Would you like to build an integration or custom widget that displays your service review data? Our Integration Guidelines will help you implement your Trustpilot review content and display our logo and images correctly. Important: Trustpilot’s Integration Guidelines apply to everyone who is permitted to use our APIs, and Trustpilot reserves the right to revoke your API access if you violate our guidelines. If you want to ensure that you always display data that is compliant, we recommend using one of our TrustBoxes. Edit the content of a review, including TrustScore, text, author, date, etc. Note: You don’t have to show your category ranking, but if you do, make sure it’s accurate. 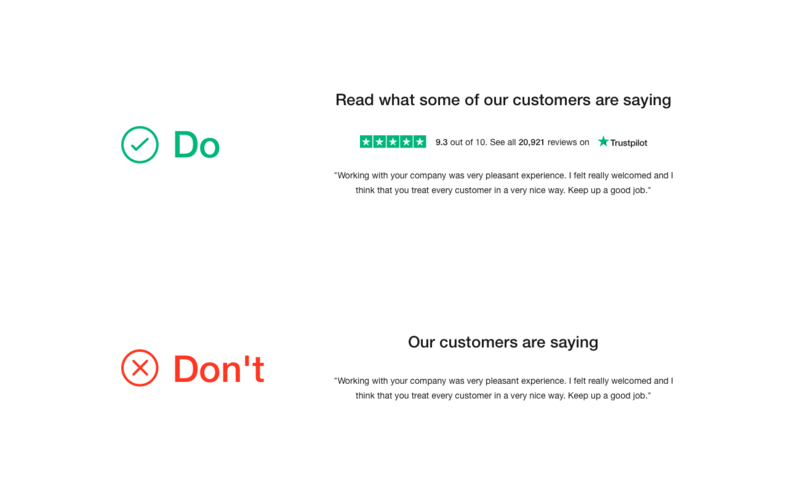 Follow Trustpilot’s SEO requirements to avoid duplicate content penalties and damage to your search engine rankings. Use an Iframe where the framed page isn’t crawlable by search engines. For example, you can “no-index” the framed page or remote load the framed page from a website where robots.txt prevents search engines from crawling it. 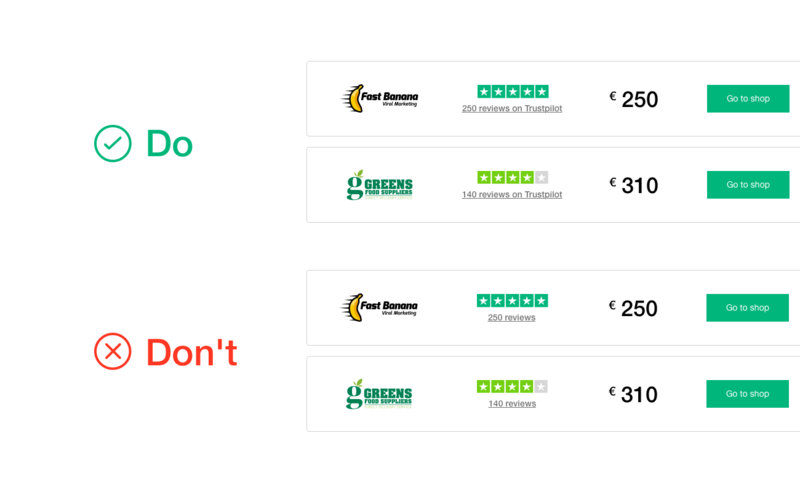 It’s possible to mark up your TrustScore with Rich Snippets using Aggregate Rating. However, you must comply with Google’s structured data guidelines. Any breach of these policies could result in a loss of all your Rich Snippets. We recommend using TrustBox widgets because they are optimized for SEO. 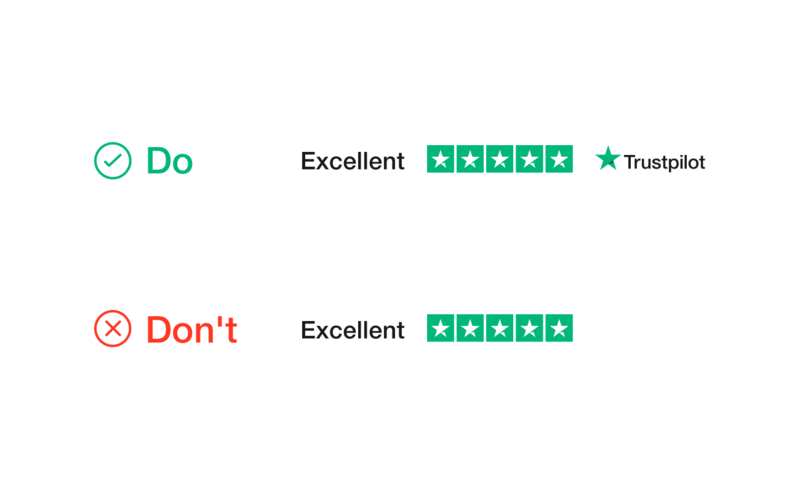 Following Trustpilot’s branding requirements establishes review credibility. It confirms that your reviews come from a trusted and independent third party source. 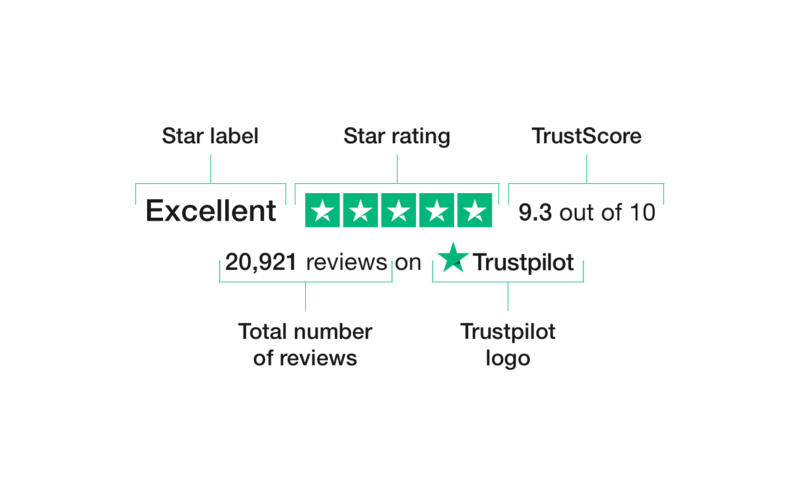 For more details on how to display the Trustpilot logo and star images, visit our Brand Style Guide. Now that you’ve read our guidelines, you’re ready to build your API integration with Trustpilot. Our API documentation has everything your developer needs to know.